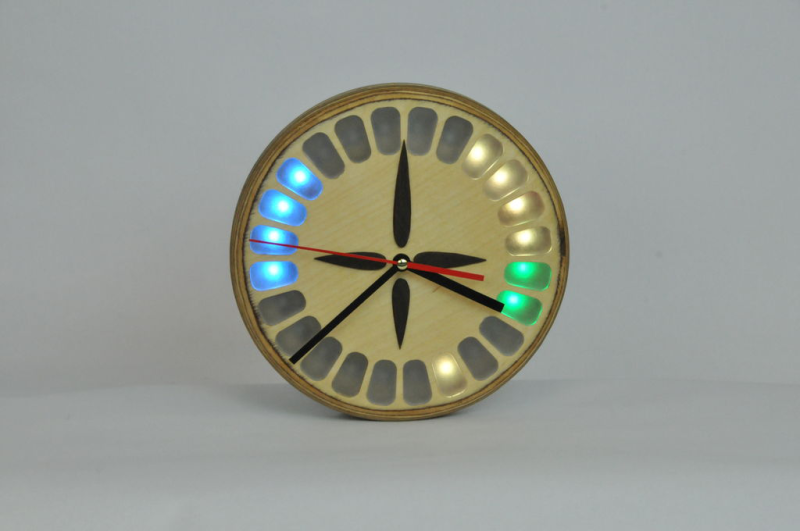 Sam VanHook has created this lovely Google Calendar-aware clock out of some birch plywood and then added diffused Neopixels. These Neopixels are lit up by a Raspberry Pi Zero W when Sam has appointments in his Google Calendar. He’s used a CNC router to cut the clock face (although I guess you could do it by hand or with a laser cutter) and the whole build has a lovely feel to it. You can read how he created CalClock over on this Instructable.